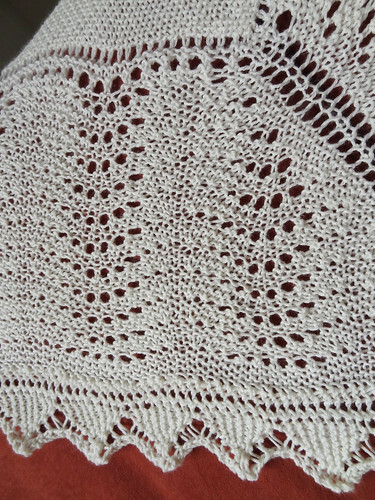 I have finally finished the Hap Shawl I started in November 2011!!!! If you don't remember, this pattern is Hansel by Gudrun Johnston, also known as The Shetland Trader. 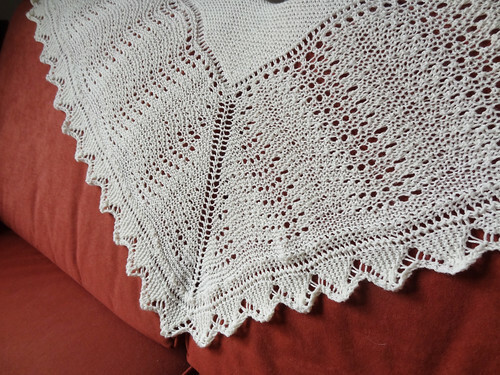 This project has been a mammoth task, as I increased the size of the shawl significantly. 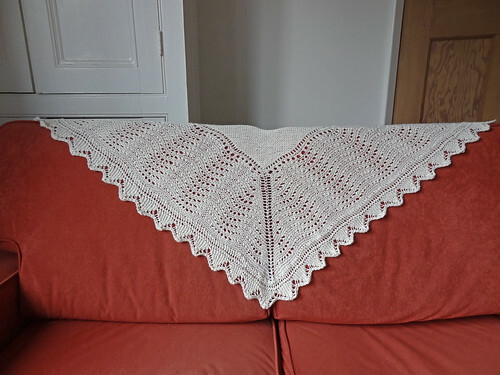 The pattern was increased in the second section of the shawl, the feather and fan pattern, and I ended with 152 stitches per side of the shawl as opposed to 104 that the pattern suggested, after the decrease round which reduced each side by 28 sts. This meant that there were 19 repeats, on each edge, of the knitted border chart. As you can imagine, the knitted border took forever to knit. This is one of the reasons this project took so long. I kept putting it to one side while more interesting projects captured my attention. But, I did give the project a big final push over the last fortnight. I'm so glad I did as it has turned out beautifully. 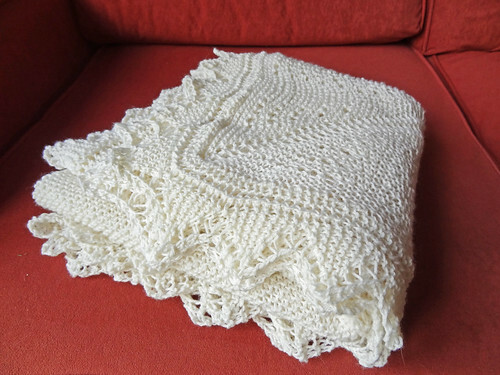 The final size is "50" along each edge, which gives it a great size for folding diagonally to be used as a shawl, for the new mother to use if she wishes. As it is knit in a 4 ply yarn, Katia Dolce Merino, it is very adaptable in terms of how it is used. It can be used either as the opened square, for one thin layer, or doubled or quadrupled for a much heavier cover in the colder months. 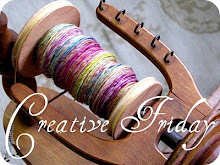 The yarn is 50% merino and 50% Acrylic which makes it very soft and strong. It is also machine washable, which a must for any baby knit, in my opinion, especially if it is cream in colour! The one thing I would change if I knitted this project again, would be to use a provisional cast on at the beginning of the knitted on border. I would then graft the starting and finishing stitches together, rather than casting off the last stitches and then sewing the two ends together. From the right side the seam looks fine. But if you look at the wrong side, you have a seam. 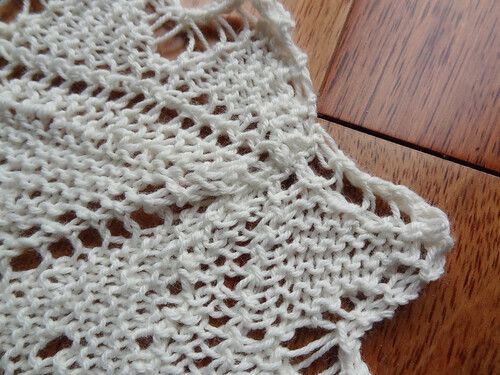 This is the only seam in the entire Hap Shawl. 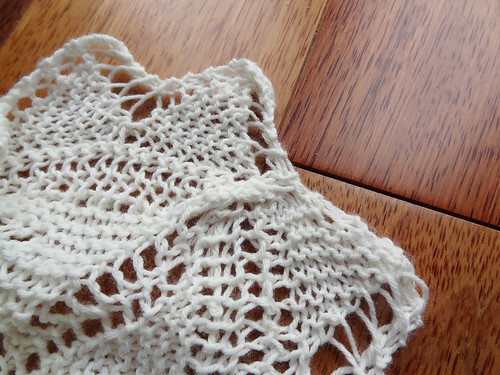 This is the only thing that prevents the shawl from being truly reversible. You don't really notice the seam, but I know it is there! This very special project is destined for a baby that is due in July. 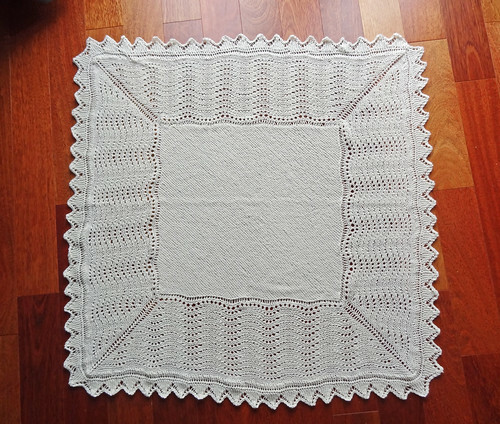 It is likely I will be unable to visit the new family and will have to wait for them to visit me, so I will send this blanket in my place, to cover the new baby and it's mother in lots and lots of love. As the new mother is a crafter too, I am fairly sure that she will value this gift as much as I hope. She will understand the love that has gone into every stitch. I can't wait to see the new baby wrapped up in my snuggly knit. 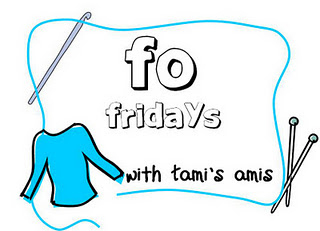 As usual I am linking this project up to FO Friday and Creative Friday. Click on the buttons to see other lovely projects.